Police are asking businesses in Nanaimo to secure their poppy donation boxes after five reported thefts in the last week. While the exact date of each theft is unclear, businesses hit by poppy donation thieves including a Tim Hortons, McDonald's, Delicado's, Pomme Natural Market and a local insurance company. All of the thefts took place in north Nanaimo, RCMP said in a news release. "Investigators are currently reviewing video surveillance from several of the locations," said Const. Gary O'Brien. "These kinds of thefts are considered opportunistic and are easily preventable and sadly, we can expect more of the same in the days leading up to Remembrance Day." A surveillance photo of a suspect who allegedly stole a donation can from Delicado's on Aulds Road has been released by RCMP. Businesses who accept poppy donation cans and boxes to raise funds for veterans should make sure they're secured with zap straps or screws, RCMP said. The cans should also be within the view of staff and emptied frequently. 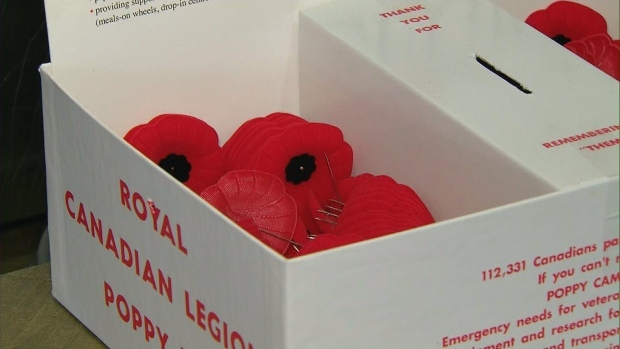 Thefts of poppy donation boxes have become a reality around Remembrance Day each year. Earlier this week, police in Victoria arrested a suspect who allegedly stole a poppy donation box from a Tim Hortons, then threatened a bystander with a weapon. 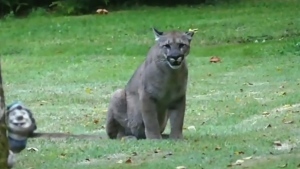 Anyone with information on the thefts in Nanaimo is asked to call RCMP at 250-754-2345 or Crime Stoppers at 1-800-222-8477.